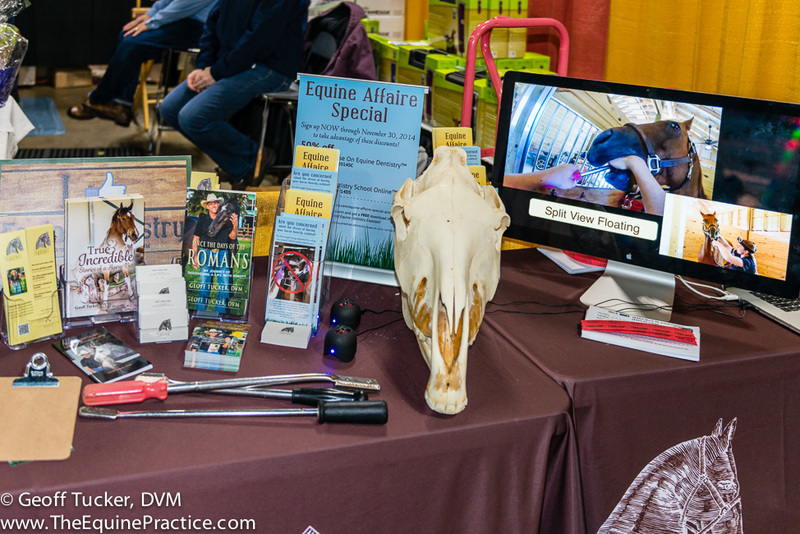 A few weeks ago, I went north to West Springfield, MA to the Equine Affaire, the largest east coast exposition of horse related businesses, services and ideas. 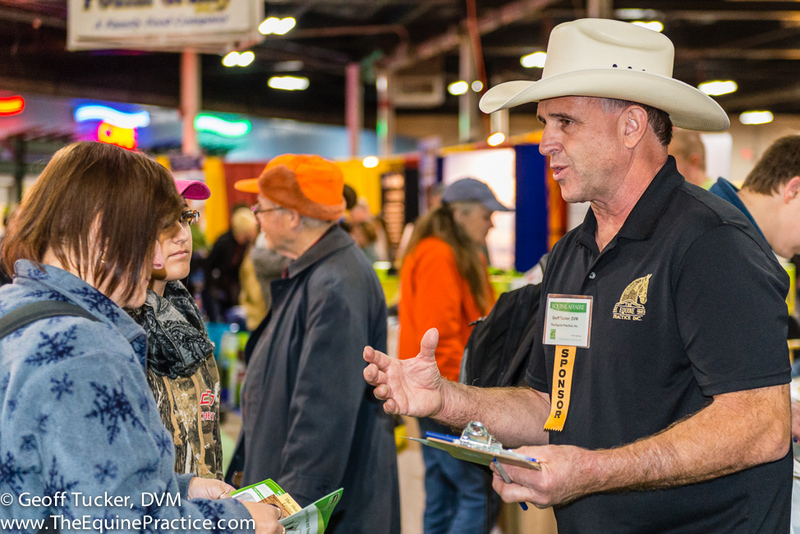 The Expo show ground was filled with demonstrations, food, horses, horse trailers, and vendors. Riding apparel, feed, jewelry, inventions, barn gear, barns, nutritional supplements, trainers, vet clinics, and so forth were on display. Tucked into a small booth with me were my family and an event producer. We were very new at this – actually it was out first Expo. 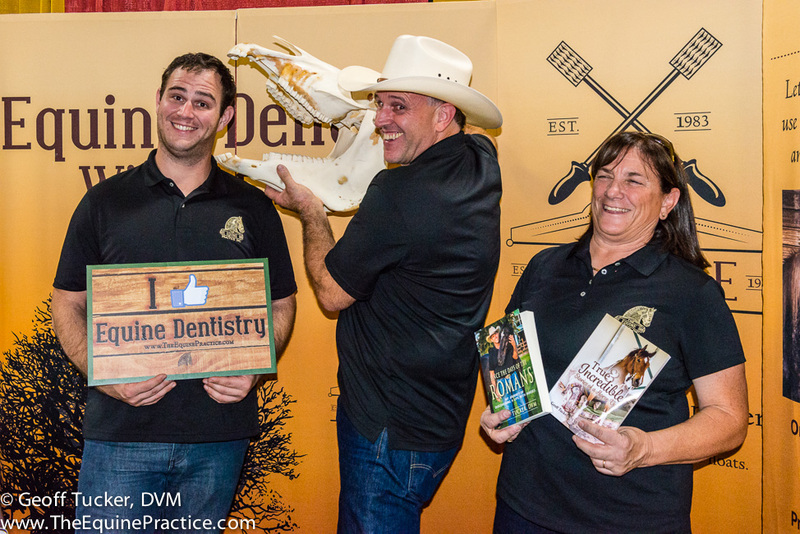 We wanted people to know that we had a new online equine dentistry school out and this was our launch. All of us were excited and couldn’t sleep. We had never done this before, but for me there was something more. I was about to announce to the word in person that I thought there was a better way to perform equine dentistry. My way I call The Tucker Technique Of Equine Dentistry™. 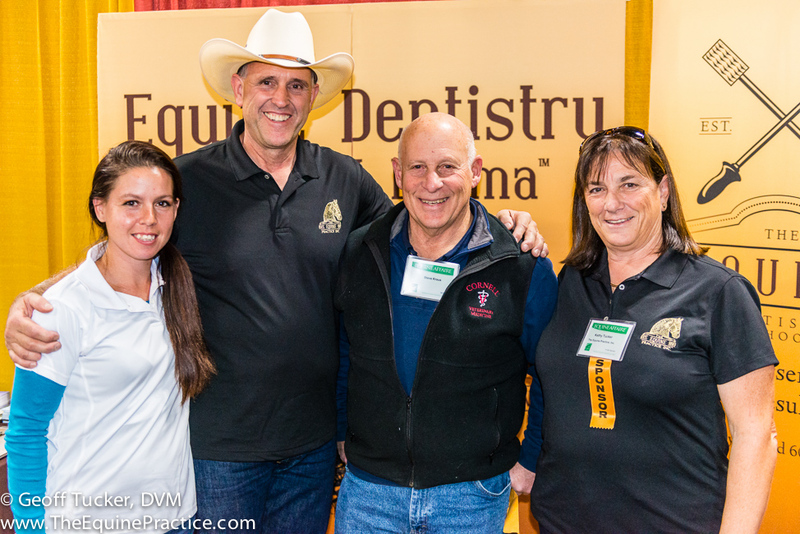 Most of you have seen this horsemanship approach to equine dentistry and agree that it is worth preserving and passing on to future generations. The reaction from the horsemen attending was outstanding. One after another, for 4 whole days, horse owners would come to me and ask if I would go to their farm in the north east and work on their horses. They all expressed how disappointed they were in their lack in choice between my horsemanship based equine dentistry and the automatic drugging, mouth jacking, head hanging way of dentistry that is offered to them in their area. About 70 people signed up for more information about the school and a chance to win the complete course. This was an overwhelming response that indicates to me that horse owners are now looking for what this school offers. 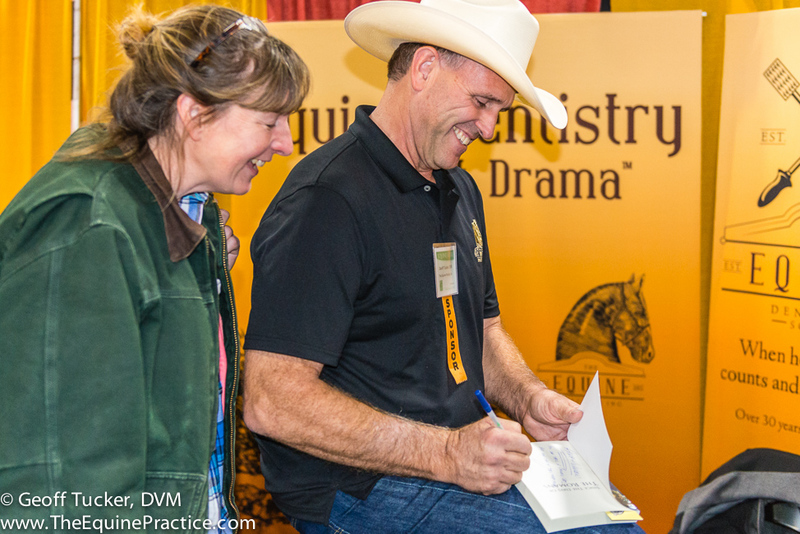 Equine Dentistry Without Drama™ is more than a catchy phrase. 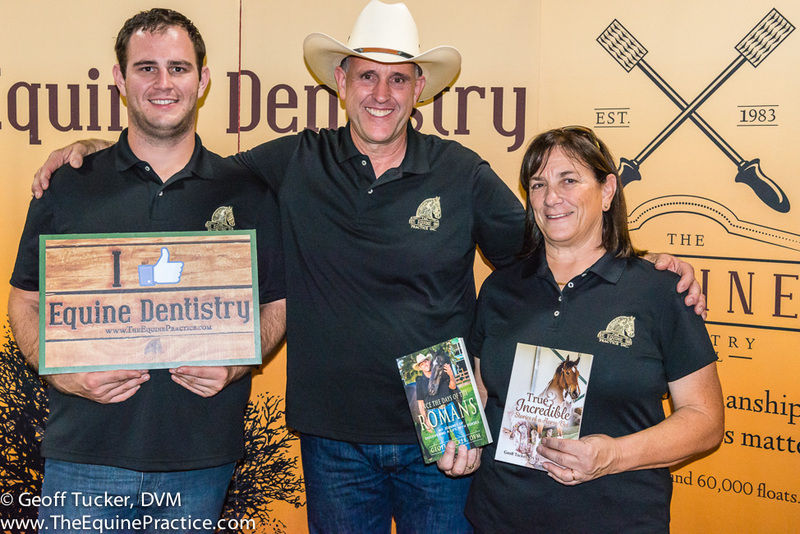 It means that there is a way of equine dentistry that shows respect for their horses. While horse owners want the best for their horses, they are growing tired of sacrificing respect for the treatment of their horse. 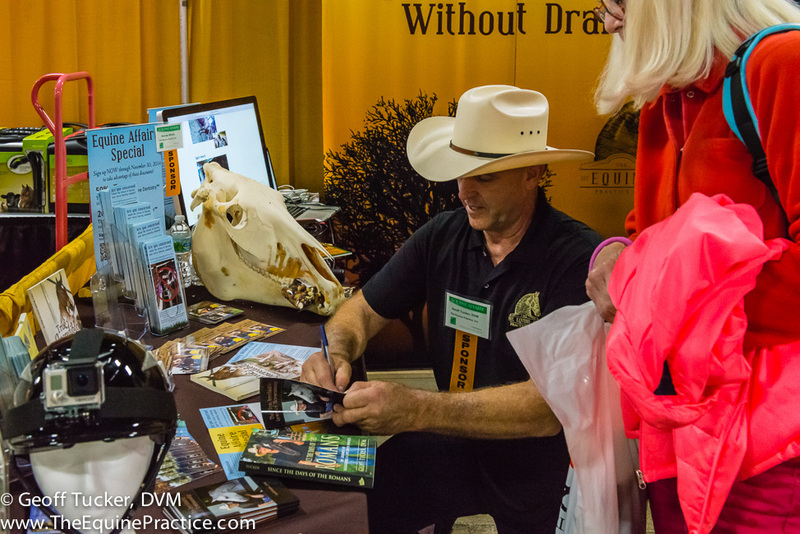 The people that attended the Equine Affaire and met my family and me quickly realized that there is now something available that is both effective and respects the horse as a living, breathing animal with thoughts and feelings. 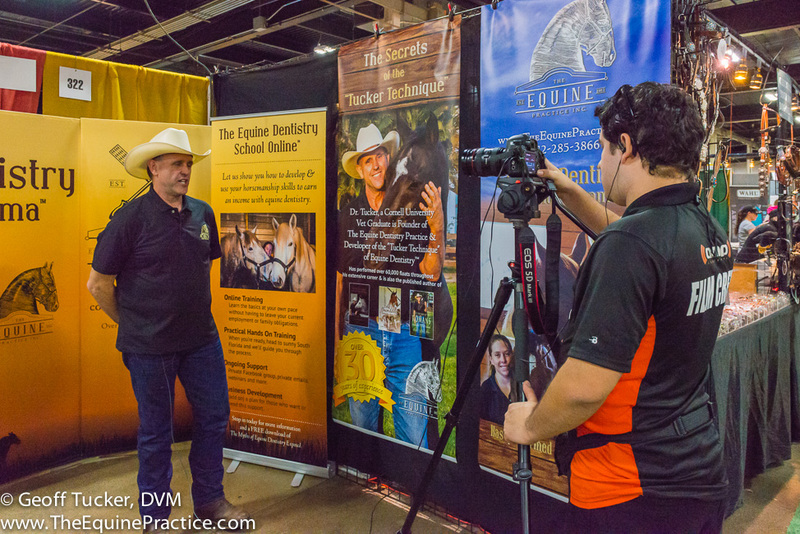 You will be seeing the testimonials filmed at the Equine Affaire soon and will be able to hear what they have to say about Equine Dentistry Without Drama™. It is time to go back to what works. 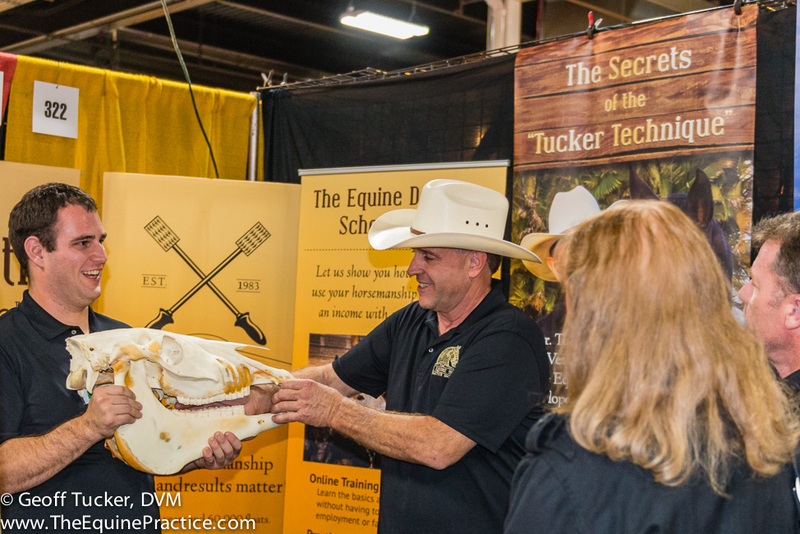 If you or someone you know wants to learn more about this style of dentistry, go or send them to info.theequinepractice.com/booklet. Your horses will be thankful. I sign another book for a client that came to visit and give a testimonial. Thanks! 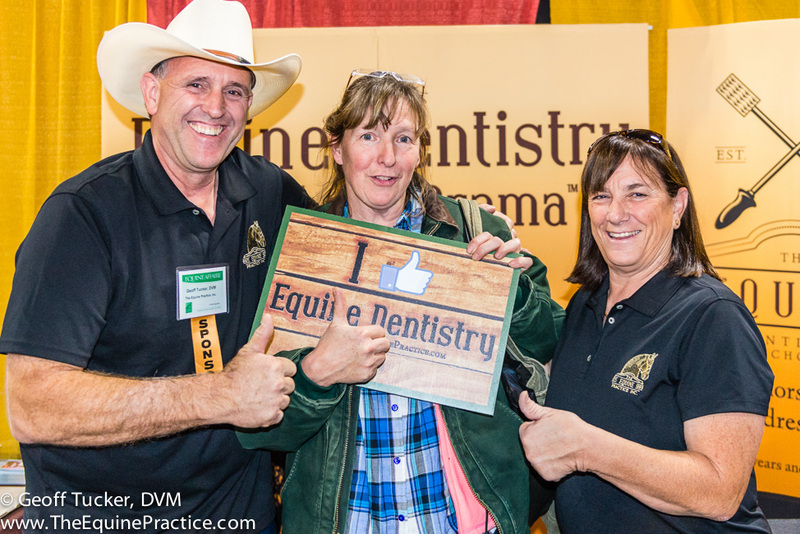 Kathy and Matt make this a family affair at the 2014 Equine Affaire. I give a mini demonstration to a group of young visitors from our friends in Massachusetts. 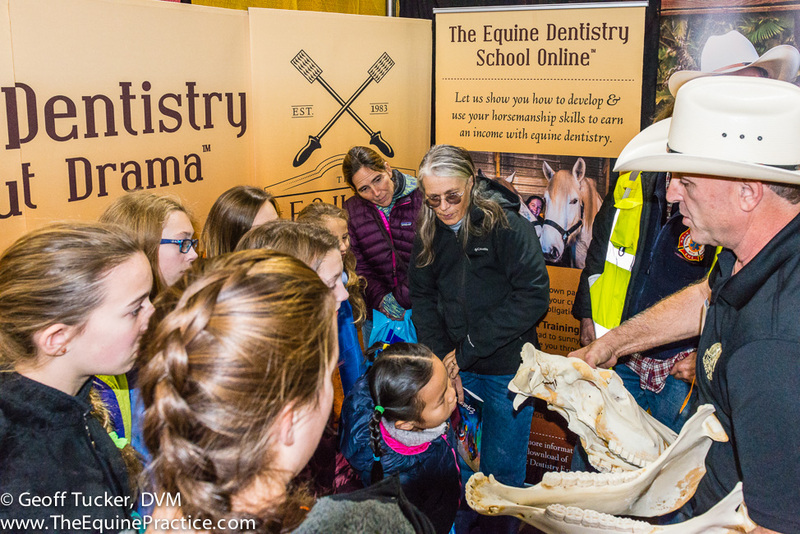 Our table with “Spike,” the new skull of The Equine Dentistry School Online™. 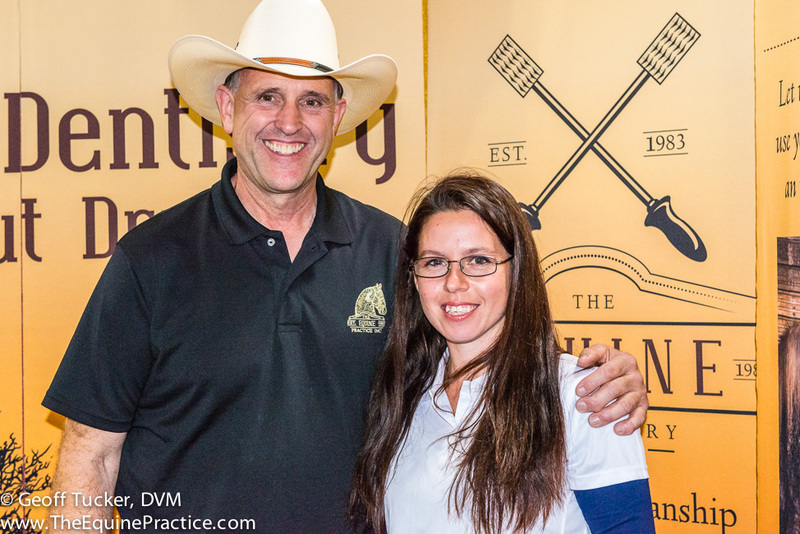 Kathy and I stand with Jenniffer, a recent graduate of The Equine Dentistry School Online™ and Steve Krause, a long time friend and the professor of the farrier school at Cornell’s Vet School. 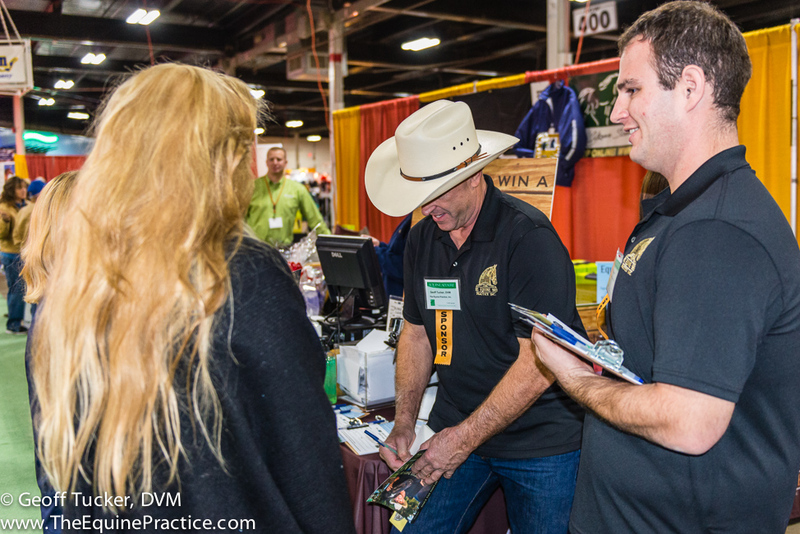 Matt holds “Spike” as I demonstrate the hand in the mouth technique to some visitors to our booth at the 2014 Equine Affaire. This is the wife of a classmate of mine from Cornell at the 2014 Equine Affaire. 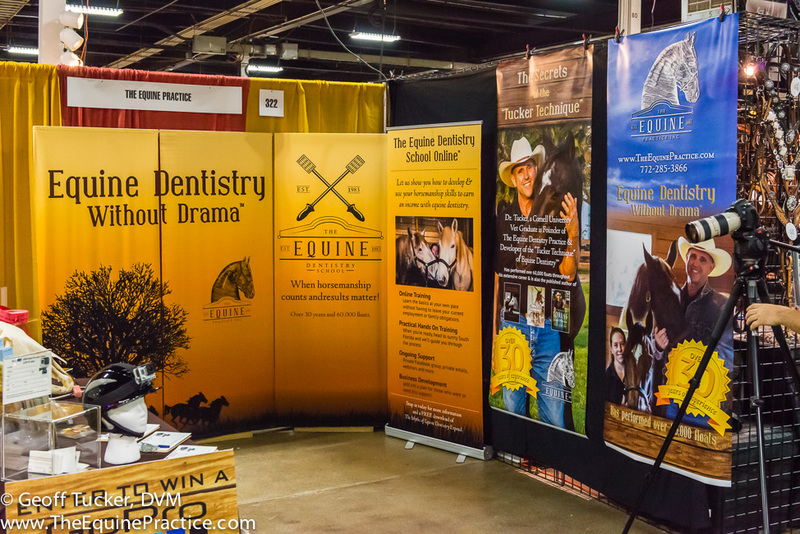 4 days of explaining Equine Dentistry Without Drama™ and The Equine Dentistry School Online™ to thousands of visitors to the 2014 Equine Affaire.